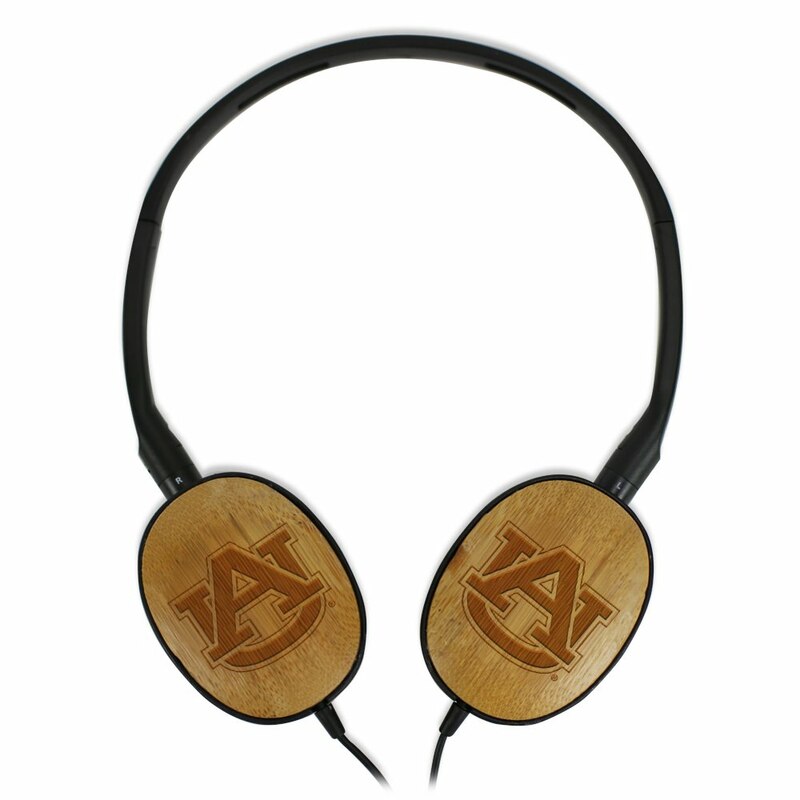 These Auburn Tigers Bamboo Headphones are a great way to enjoy your music while showing concern for the environment. 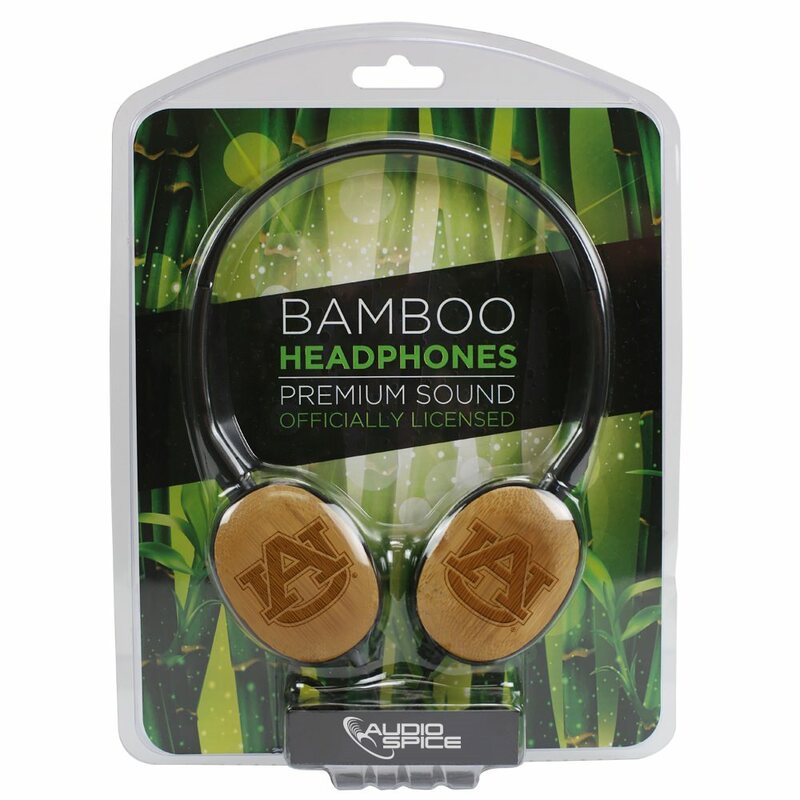 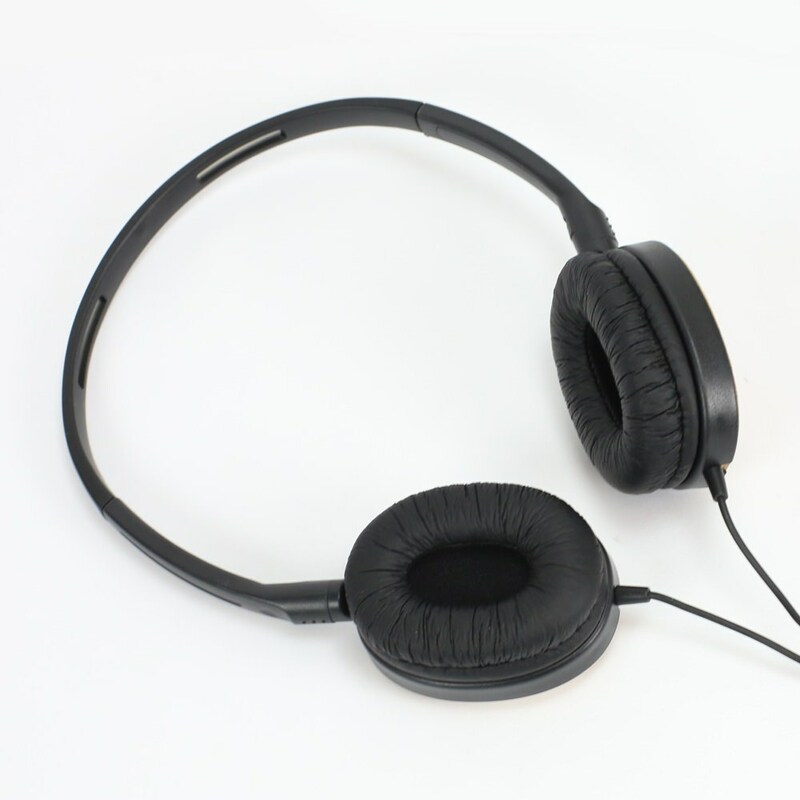 The earcups are made of renewable bamboo instead of plastic. 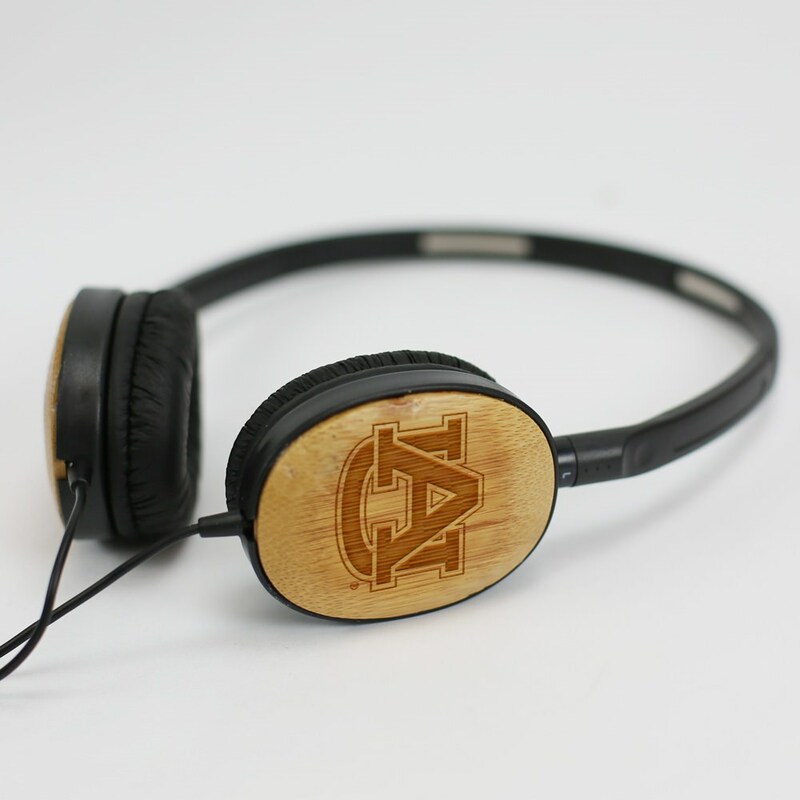 Each side is laser engraved with the official school logo.